The LMD is responsible for protecting consumers from malpractices such as overcharging, inaccurate weighing scales and inadequate or misleading information about the product. Last week, the department, headed by Amithabh Gupta, conducted surprise inspections at several airports in the state including Pune, Mumbai, Aurangabad and Nagpur. The administration of Pune airport has been issued notices by the Legal Metrology Department (LMD) of the state government after it found that four weighing scales used to weigh passenger baggage were faulty. The fluctuation in these scales was “beyond tolerable limits”, said LMD officials, who conducted the raid. According to the LMD officials, due to the faulty machines, some passengers were allowed to carry baggage that is more than the permissible limits. Apart from issuing notices to the AAI for faulty baggage weighing scales, the LMD officials have also booked cases against two retail food shops at the Pune airport after they were found to be violating rules. 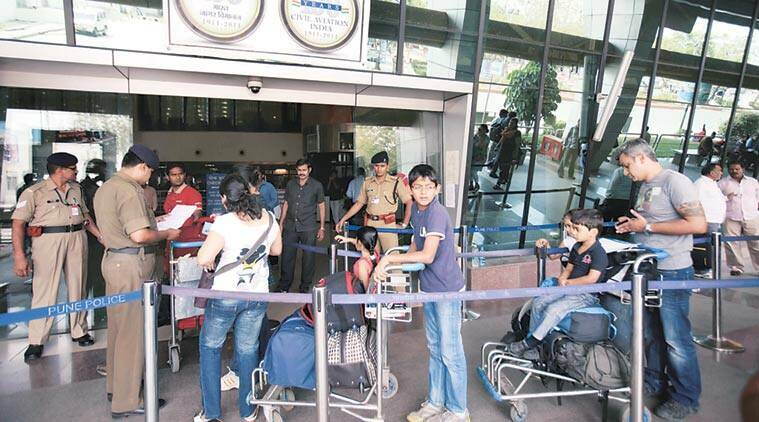 “At Pune airport, we found out that out of the 20-odd scales being used at the two terminals, four were faulty. The fluctuation being shown by the scales were beyond the tolerable limit. They also did not keep the default weights with them to check the scales. We have booked the officials and issued notices to the Airport Authority of India (AAI),” said G S Mahajan, Assistant Controller of Legal Metrology, Pune district. Of the half dozen retail food shops at the airport that were inspected, four were violating rules. “Two shops, namely New Poona Bakery and Raval Chikki were selling products that infringed the rules — which require them to carry a declaration, product name, maximum retail price, consumer care telephone number, address, weight of the product and manufacturing date, among other things. We have booked them and they will be fined after following the due process,” said Mahajan. The raids were conducted by LMD after it received complaints from fliers. Apart from Pune, the Mumbai International Airport and Aurangabad airport were found to be having two faulty scales. “We will continue to conduct surprise checks to check the scales as well as the shops inside and outside the airports in future too,” said Gupta.